Do you love blues guitar but wish you could play faster? Why aren’t you faster already? If you can’t answer that question, this is the course for you. 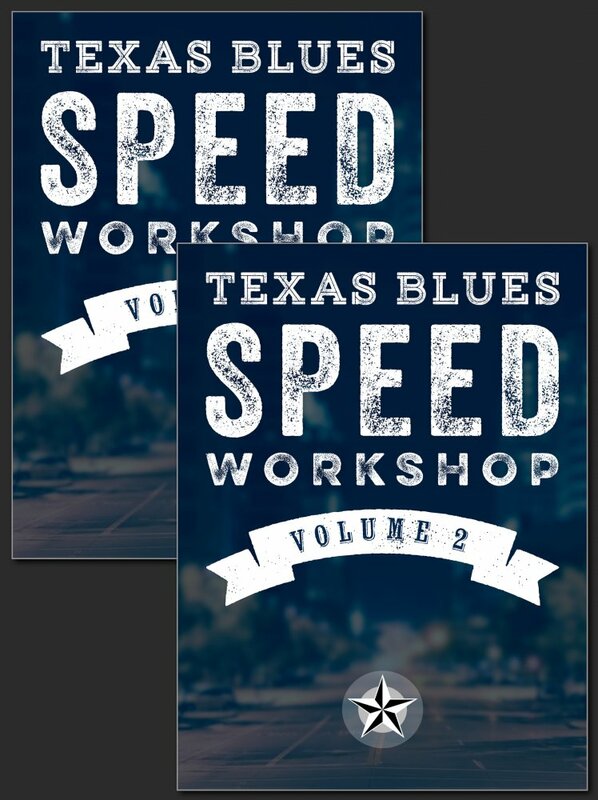 Texas Blues Speed Workshop is a proven system for systematically increasing your speed for blues guitar. Using daily exercises and drills, plus detailed tracking and milestones, you’ll start progressing immediately and be able to know exactly how much you’ve improved each step of the way through. This video will explain everything you need to know about this course. These courses are targeted at beginner & intermediate players who want to increase their speed for blues guitar. It caters to fans of SRV, Hendrix, KWS, etc… but the licks being used as exercises are familiar enough that they’re usable by fans of any blues style.